Boeing 777, 767, 757, 747, 737, 727, 717. Airbus A318-321 Series, A330. MD-80/88 Series and MD90. CRJ, EMB, ATR 42/72, Beech 1900C/D, and others - Please call with your needs. Plus Human Factors for Aviation. See the list of Self-Paced courses currently offered by AeroEd. Our instructors all hold FAA licenses. All classes are deigned around ATA standards and objective requirements. Call AeroEd to discuss your training needs. Bill White will give you personal attention in solution to your training challenges. added seats (as of 11/1/16). (20 day lead time required, added seats are incremental cost). AeroEd Self-Paced Gen Fams are now an FAA Accredited Activity! AeroEd is an FAA accepted AMT Awards Credit Training Provider. Click HERE to go to the Accredited Activities page at FAAsafety.gov, and type "aeroed" into the keyword field, click the "AMT" button, then click the "Perform Search" Button. These credits can be applied to your AMT Awards total and utilized for Repair Station Diamond Award Status. AeroEd Training has taught over 10,000 students since it began offering services in 2004. Between Instructor-Led and Interactive Learning, many many people in the aviation industry have an AeroEd Training Certificate in their resume. 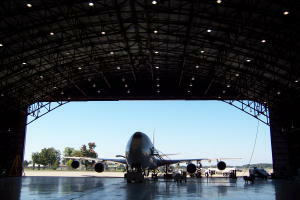 Our service and retail sales partners offer an extension of the core training services of AeroEd. Our companion company, AeroEd Inspection Services is a 14CFR Part 145 FAA / EASA Certified Repair Station with Limited Powerplant and Accessory ratings that specializes in Borescope Inspection for 8130-3 Release. 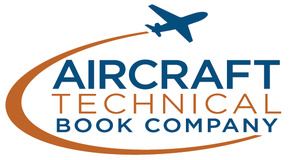 Aircraft Technical Book Company is our retail partner for sales and fulfillment of AeroEd's Self-Paced Training line of products.